Probably the most popular destination in Italy is Rome. Nothing surprising of it, it is a capital after all. People are visiting it mostly because of ancient monuments, like Coliseum for example. 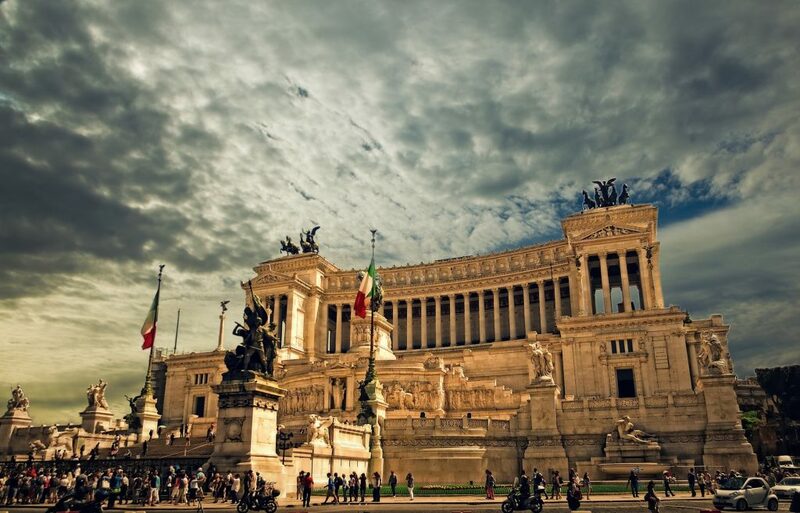 It is true symbol of Rome. Another nice piece of architecture is Pantheon, also ancient relict, situated in the center of old town. But also less ancient attractions are waiting in there. Whole around the city you can admire beautiful fountains, made in Baroque and Rococo style. Rome is situated about 30 minutes drive from seashore, so it is great location for summer vacation. Another interesting metropolis in Italy, it use to be very important place during the Renaissance époque. Medici family, which use to live in there, have great collection of painting masterpieces, now we can see it in Uffizi Gallery, one of the most important museum in entire world. Also the Palace of Medici is great thing to see, it’s interesting example of late Renaissance architecture. If you’re a fan of sacral architecture, you will enjoy a visit if Santa Maria del Flore cathedral. This interesting city is situated in the north-east part of Italy, close to the Rimini, legendary seashore resort. Bologna is quit, medium size city with plenty of amazing architecture. This city in early medieval times has more than hundred tall towers spread around the old town. Nowadays we can still admire two of those, it looks amazing, as medieval skyscrapers! If you are a fan of non-sacral, architecture you have to go to the Palazzo d’Accursio, Renaissance building, where wealthy family use to live. Tourists can see it also from the inside, those chambers are filled of interesting interior design from many various époques. This is another, legendary city in Italy, filled with amazing architecture. Plenty of people in love are visiting it, all day long you can take a cruise trough it channels, like Grand Canale for example. But the nicest example of architecture in Venice is Saint Marc Cathedral, This church was constructed during couple of centuries, that is why it has Medieval, Renaissance and Baroque influences. Venice is also very popular during Catholic Carnival.